My favorite movie is Avatar, so I’d love to see that one to start. Any Harry Potter movie. Love the effects in these movies. I am already a member, please sign me up for the Sony Playstation give away. With Dolby digital plus 5.1 surround sound I would love to watch concert movies. I also love classic old movies and the new movies that utilize the full surround sound effects! This would be awesome! Would love to see TRANSFORMERS 3. I would watch all my son’s Disney movies with him! i would like to watch any harrison ford movie. he makes me lol. One of my favorite movies Dances with Wolves or a movie like 2012 with lots of hidden sounds!!! Oh definatly every Harry Potter Movie. Then on to the Scary movies. Avatar would be great!!! I’m a Fan!!! I’m an email subscriber and I want to watch Inception in surround sound!! I’m already a subscriber (tiglesias625 (AT) gmail) and the movie I’d watch first is Iron Man 2 since I missed it in the theater! The training scene in Inception, where everything on the street blows up around the cafe. Pick a Transformers movie. I will never forgot the T-Rex roar. Or the John Williams music! Winning the Playstation 3 with Dolby Digital Surround would enable me to watch various musicals as never heard before. 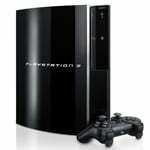 i am all about sony ps3 it is super! and dolby! win a playstation with blu-ray!! The kids would love me if I won this! I would like to watch all of the Harry Potter movies. I don’t do Facebook, but I’d like to enter. I’d watch any Transformer movie! I want to watch Candyman. Underworld 1, 2 and 3… or Jaws!